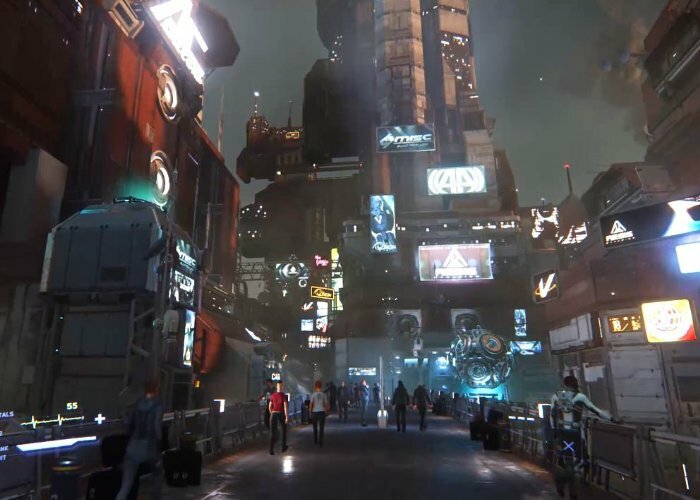 During this months keynote address at CitizenCon 2947 Chris Roberts’ the mastermind behind the hugely successful crowd funded space simulation game Star Citizen has revealed more details about the latest additions that will be coming to the space game in the form of procedural cities the size of planets and more. If you haven’t already been able to watch the keynote it has now been made available via YouTube and it embedded below for your viewing pleasure. The CitizenCon 2947 trophy is now available to add to your hangar. Fill a spot in your display case and show your support for Star Citizen by snagging this special event trophy. If you attended CitizenCon 2947, the trophy will automatically be attributed to your account on Monday, October 30th. Otherwise, you have until Monday, November 6th to pick one up. Add the Kastak Arms Custodian SMG CitizenCon 2947 edition to your arsenal. Featuring a unique skin that celebrates this year’s event, this special edition SMG is available for a limited time. So grab yours before they’re gone on Monday, November 6th. All media is available to watch over on the official Star Citizen website by following the link below.